Meet five A-list dogs that are making waves (and hefty revenue) online. Oscar winner Jennifer Lawrence's official Facebook page has more than 14 million likes. Chris Pratt, Jurassic World's leading man and overall mega star, has racked up a (comparatively) measly 2.5 million. 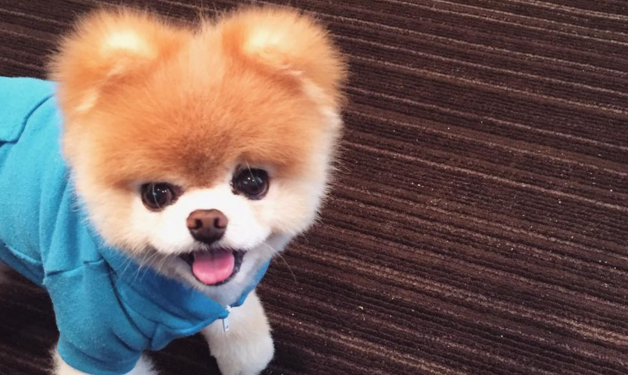 With more than 17 million likes on the social network, Boo blows them both away. Who is Boo? Boo is an adorably fluffy 9-year-old Pomeranian. Boo is also an Internet celebrity—in addition to his Facebook fans, he has more than 600,000 followers on Instagram—and a hustler, with multiple product lines, endorsement deals and three books. Simply put, Boo is a bonafide canine celebrity—and he's not the only one! Just as human YouTube stars have risen above the din of amateur videos to score actual lucrative endorsement deals, a rank of A-list dogs have emerged. To see how much Boo earns annually and to learn more about his celebrity canine compatriots check out the below infographic by Greyhounds as Pets, an organization that adopts and fosters retired greyhounds.